Goldman Sachs Hires Former Brussels EU Commissioner José Manuel Barroso: A Deal Hatched At Bilderberg? Multinational investment bank Goldman Sachs recently announced it had hired José Manuel Barroso, the former president of the Brussels EU Commission, as an advisor and nonexecutive chairman of its Goldman Sachs International arm. With Goldman Sachs accused by many people of helping set off the 2008 global financial crisis and then profiting from it by defrauding investors, Barroso’s mercenary acceptance of the appointment predictably attracted widespread outrage. Interestingly, however, despite the extensive media reporting, little attention has been paid to the fact that the road to Barroso’s new job may have begun at a meeting of the clandestine Bilderberg Group. The story starts in mid-2015 when, in a little publicized development, Barroso became a member of Bilderberg’s Steering Committee. For the uninitiated, the invitation-only annual conferences of the secretive Bilderberg organization essentially serve as an off-the-record breeding ground for interactions between the political elite and senior executives from industry, finance, academia, and the media. So non-transparent and unaccountable are these meetings that no minutes are taken, no report written, and no policy statements issued. Over the years Barroso has attended several Bilderberg meetings, including while he was holding the post of president of the Brussels EU Commission. 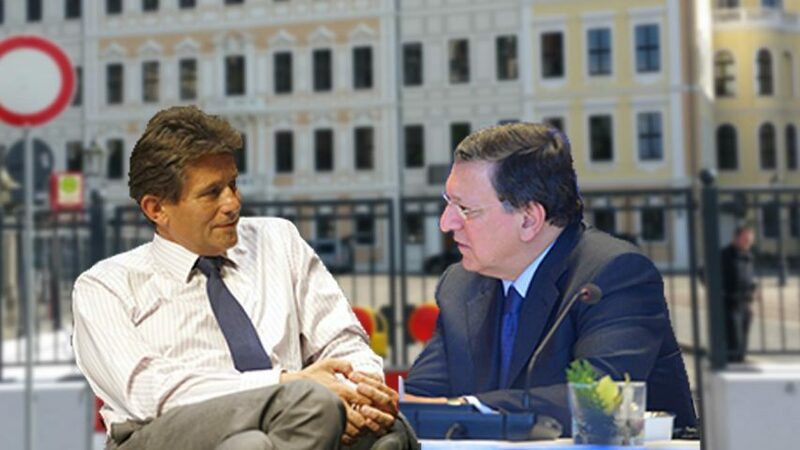 The announcement that Barroso had been elevated to Bilderberg’s Steering Committee was made in a typically low-key fashion during the Group’s 11-14 June 2015 meeting in Telfs-Buchen, Austria. Midway through the weekend’s discussions, the Bilderberg website was quietly changed to include his name on the list of Steering Committee members. After that meeting, as British newspaper the Guardian reported at the time, “Barroso seemed jubilant”. Sporting a wide grin at the airport, he “beamed and waved at the cameras” and “looked like the cat that got the cream”. But was Barroso solely celebrating his elevation to the Bilderberg Steering Committee, or was there more to it than this? Here is where the plot thickens. 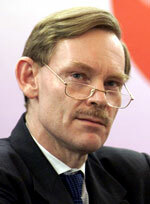 In a vivid illustration of how the Bilderberg Group actively facilitates the famed “revolving door” between politics and industry, it turns out that Robert Zoellick, Chairman of the Board of International Advisors of the Goldman Sachs Group, is also a regular Bilderberg attendee and member of its Steering Committee. Given the timing of Barroso’s move from politics to finance, this is significant for several reasons. First, according to a report on the CNBC website, talks between Goldman Sachs and Barroso “had been going on for about a year” before the former Brussels EU commissioner was hired earlier this month. But with Barroso having only left the Commission at the end of October 2014, this means that his talks with Goldman Sachs representatives began at a time when he was still subject to the mandatory 18-month ‘cooling off’ period during which he was unable to engage in lobbying – or any other activities that could represent a conflict of interest – until the end of April 2016. Clearly, therefore, at the very least, engaging in yearlong “talks” with Goldman Sachs is somewhat stretching the definition of ‘cooling off’. 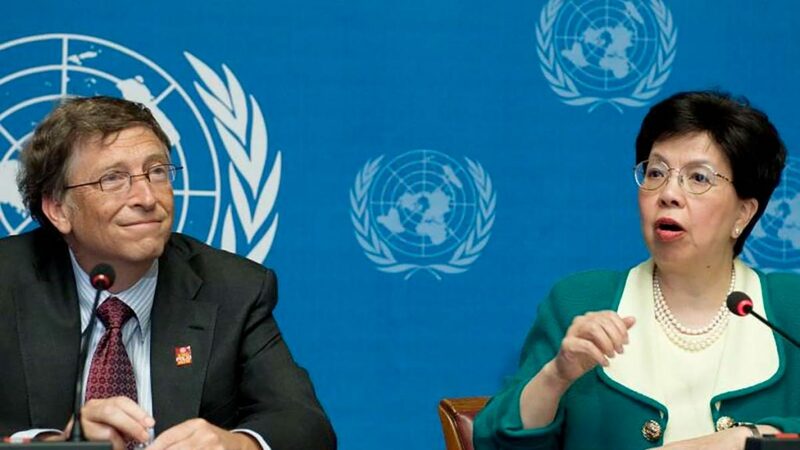 Moreover, if the talks had indeed been going on for about a year by the time Barroso was hired, this means they apparently began at around the very same time he was attending the aforesaid June 2015 Bilderberg Group meeting and becoming a member of its Steering Committee. So who else did the list of participants for that key 2015 meeting include, from which Barroso emerged grinning and looking like the cat that had got the cream? Revealingly, not only Robert Zoellick but also Peter Sutherland, the then Goldman Sachs International Chairman. But both quite coincidentally, of course.